Planning your dream lawn is easy; actually maintaining it isn’t. It takes a lot of effort to constantly mow the grass, and many people barely have the time for this task. Luckily, thanks to the latest tool technology coming out of WORX, this doesn’t need to be a problem any longer. Our collection of smart lawn mowers can trim the grass autonomously, letting you enjoy your lawn instead of worrying about constant upkeep. That said, not all auto lawn mowers are created equal. To find the best robot lawn mower, you need to know what to look for. Essential features like mobile-device control, automatic adjustment, and humidity detection are all things to consider as you select the best smart lawn mower for your needs. A basic automatic lawn mower should be able to perform certain essential functions. For instance, many of these new mowers can be programmed to operate at specific times and within specific areas. This allows you to create a maintenance schedule the smart lawn mower will follow automatically. Depending on the size of your property, you may want multizone functionality as well. This is an ideal feature if the robot lawn mower will be mowing two sections or zones of property, like a front yard and backyard. Most self propelled cordless electric lawn mowers run on batteries that must be recharged after a certain amount of time. Look into the technical specifications of each model you’re considering before making a purchase, and ask an expert to help you calculate how long it would take each unit to mow your lawn. Compare that to how long the battery is supposed to last, choosing one that won’t fully deplete every single time you use it. Once you’ve researched these details, you can look into additional features that may appeal to you. As an alternative to a smart lawn mower, you could look into a cordless lawn mower that provides similar innovation and ease at a more affordable price. Various models of auto lawn mowers offer features not available on all units. For example, if you choose one that’s programmable, the basic model will allow you to program it via controls built into the mower itself. Higher-end models may also be programmable via mobile devices. If your lawn is somewhat hilly, look for a robot lawn mower that can handle slopes well. For yards that contain possible obstructions, like large rocks or tree stumps, consider a model with shock sensors, allowing it to detect and mow around them. It’s also important to keep climate and weather patterns in mind. Many smart lawn mowers have the ability to automatically return to shelter if they detect rain. Some can even decide whether to mow or not based on humidity levels. Another “smart” feature you may find useful in an self-propelled cordless and electric lawn mower is the ability to adjust its programming automatically in response to grass height and other lawn conditions. As always, if you’re not sure whether you need that type of functionality, you can always read more about our lawn mowers or contact us with specific questions. Again, while these devices are useful in general, they’re not all the same. Take the time to research your options, including looking into the entire line of lawn mowers we offer. 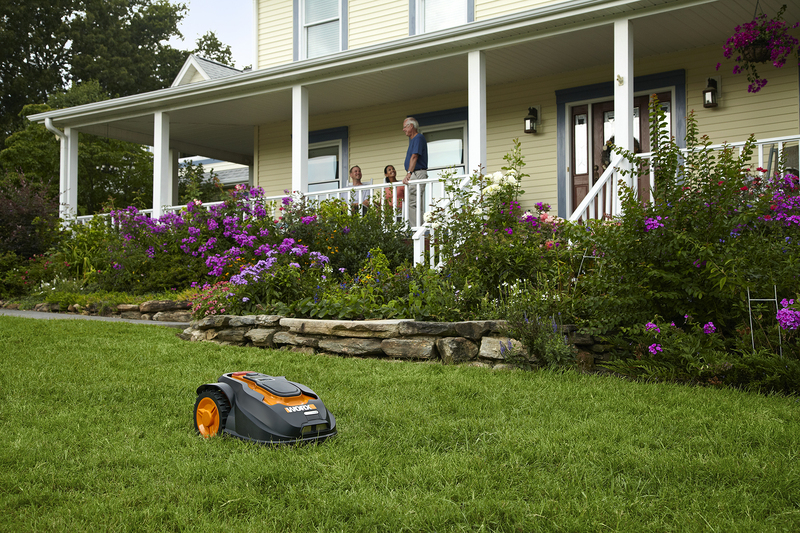 With a smart lawn mower, keeping your yard in pristine condition is easier than ever.